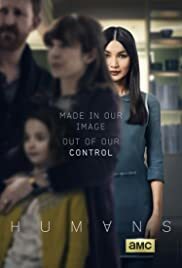 How many episodes of Humans have you seen? Q: How does Humans examine the risks of letting machines command our lives' interpersonal roles? Q: How has Humans developed the Elster Synth family members to represent various human personalities? I'll admit I sat on watching this for a while, I thought it would be boring but wow was I wrong, I love this show! It has a great plot, tight storytelling, interesting characters, and exceptional acting. Whats not to love! 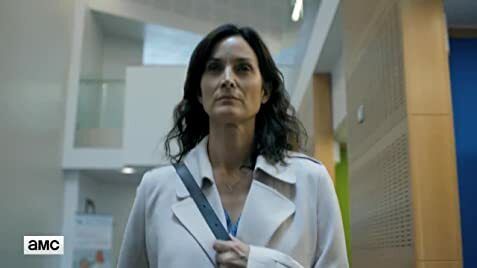 Really appreciate the 8 episode seasons, it lets the writers tell a great story without having to add in filler to spread the story out to 10-13 episodes and it leaves you wanting more. Needless to say it's an easy binge. If you haven't seen this series and you're a science fiction fan you really need to check this out. Like I mentioned earlier, I put off watching this show for a while. I thought it be boring and be more drama then syfy, that isn't the case. I don't understand why it doesn't air in the US the same time as it airs in the UK? I think the US ratings would be much higher if it did.